Before the manufacturer starts construction on your modular home, there are some things that absolutely need to be done to make sure that your prefab will be on a sound plot of land. Before you okay the manufacture of your home, make sure you’ve done all the necessary due diligence. While your modular home is being constructed by the manufacturer, your GC’s crew will be busy getting the build-site prepped for the delivery of the modules. There’s a lot of preparations to get done before your modular home can be delivered and set. Read the 4 Steps to Prep Your Modular Home Build Site guide. 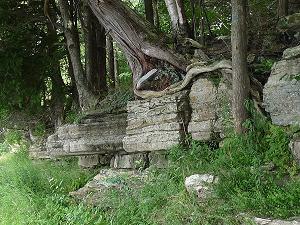 Building on a slope is possible, but if your property has any rock ledges like this one, it will make digging your foundation a much longer and more expensive process. Inspect utilities running through the foundation. 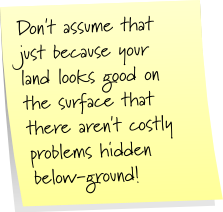 If something is wrong and isn’t caught until the foundation is poured, it can be extremely expensive to fix! 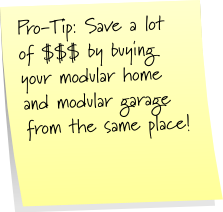 Now that your modular home has been delivered and set on its foundation, it’s time to go about turning these separate modules into a fully functional home. Even prefabs require some on-site work, so here’s your timeline for the four weeks after your modular home is set. Note that this could take less time or more time depending on the amount of on-site construction you’ll be doing. Enjoy your brand new modular home!